Let’s say you retired as a federal law enforcement officer (LEO) in 2012 at the age of 50. You’ve been receiving a Federal Employees Retirement System (FERS) Annuity Supplement for the last six years because you’re not eligible to receive Social Security. Four years before you retired, you divorced your spouse and have been paying alimony ever since. You’ve been living on a strict budget to make certain all of your bills are paid. Everything is going according to plan. Then one day in 2017, you receive a notification from the Office of Personnel Management (OPM) telling you that it is reapportioning $10,000 from your Annuity Supplement to provide your former spouse with additional income. To make up for this reapportionment, the federal government is reducing your monthly Annuity Supplement check by $250 for the next 40 months. You do the math and realize that the reduction means you can no longer afford to pay all of your bills. For nearly 600 retired LEOs, this scenario is what they’ve had to deal with since OPM notified them that their Annuity Supplement payments would be reduced, because OPM decided to retroactively pay their ex-spouses a share of it. These notifications came without warning, and the implementation of the reductions were almost immediate. They all came out of the blue. Some retirees fought back by filing appeals with the Merit Systems Protection Board (MSPB), claiming that they were under the impression that their Annuity Supplements would not be reapportioned to their former spouses after their divorces had been finalized, unless a state court ordered it. In light of the appeals, OPM recently claimed it has rescinded its retroactive reapportionments, but annuitants have stated their Annuity Supplement checks continue to reflect the lower amount. Setting aside any questions regarding the legality of OPM’s decision to retroactively reapportion a supplemental annuity to the ex-spouses of LEOs, this matter reiterates the need for anyone receiving FERS benefits to speak up if they see anything negatively happening to their retirement checks. No matter how long someone has been retired from public service, they are afforded the right to appeal decisions by OPM that adversely affect them and their annuities. Retirees should first file an appeal with OPM requesting a reconsideration of its initial decision, if it states in writing there is a right to reconsideration (which it normally should). When OPM notified retired LEOs that it was retroactively reapportioning their Annuity Supplement payments, those were written as final decisions, meaning there was no right to appeal further within OPM. When that is the case, retirees should file appeals directly to the MSPB. Appeals to OPM for reconsideration must be made within 30 calendar days of receiving the initial decision in writing. If OPM takes up the reconsideration, it must issue a final reconsideration decision in writing to the retiree, any competing claimants and the retiree’s former agency, if necessary. The timeline may be extended if a retiree proves he or she was not aware of the time limit or could not make the request by the deadline due to circumstances beyond his or her control. Appeals to the MSPB are the same for retirees as active federal employees. Appeals must be filed at the nearest regional or field MSPB office within 30 days of OPM issuing its final decision. If MSPB accepts the appeal as within its jurisdiction, it will assign an administrative judge to hear the case and issue a ruling. If either side is dissatisfied with the administrative judge’s decision, the case can then be appealed to the full MSPB Board (of which there is none, currently, due to the lack of a quorum) or to the US Court of Appeals for the Federal Circuit. 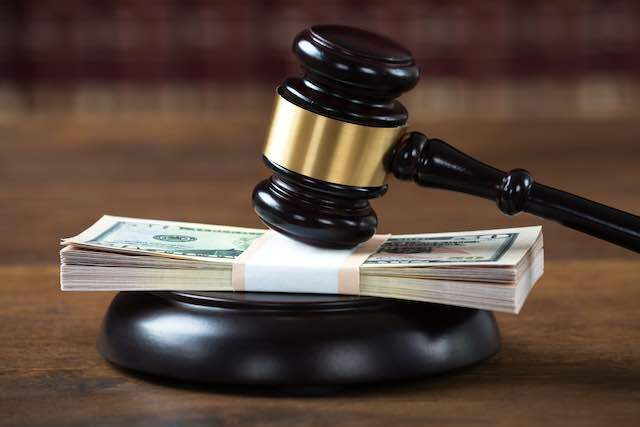 If the ruling goes against the retiree at the full Board, the retiree still has the option of filing an appeal to the United States Court of Appeals for the Federal Circuit. Ultimately, retired federal employees should exercise their rights to appeal any OPM decisions that adversely affect their FERS benefits. These individuals spent years paying into the retirement system, so the very least they should expect in return is to receive what they are scheduled to receive. « Can LEO Employees Extend Their Service Outside of Law Enforcement to Become Eligible for the 1.1% Annuity Computation?